Made by Artisans from Alcoy in Spain these totally natural papers offer the discerning smoker a simple choice, RAW Rolling papers unbleached and unrefined or chlorenated rolling papers full of chemicals. 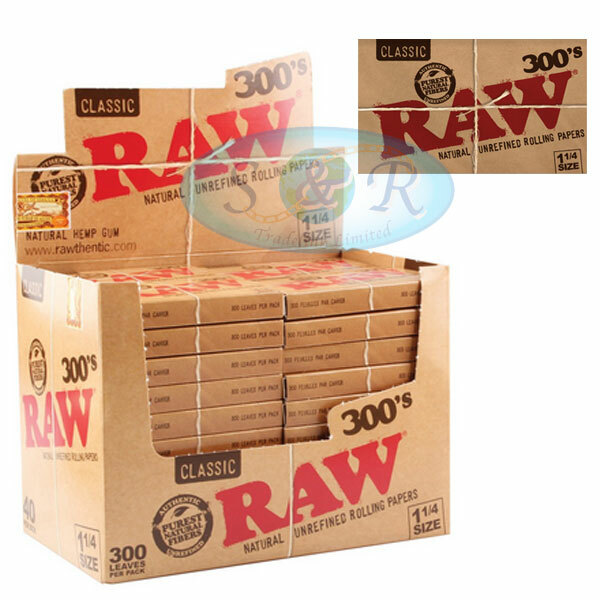 The choice is clear choose RAW rolling papers for a totally natural paper. RAW also have there own exclusive cross pattern watermark, which minimises runs and odd burning of the papers. Hold these beautifully translucent papers up to the light and you see the honey golden brown natural colour of these rolling papers criss crossed with their patent pending watermark! A true artisan rolling paper in every sense of the word with over 100 years of history poured lovingly into every packet of natural rolling papers produced.